Did you leave the 9-5 workforce to raise kids, work towards an advanced degree, or pursue a personal passion? Your preference is to work part-time, and you need flexible hours so you can meet your other commitments. You’re in the right place with ProResource! We look for smart, high-powered women and men who want a position where they can set their own hours, do intellectually challenging work, learn and grow, help interesting clients and work with a great team. We look for people to help our clients tell their stories in social media. This is a great fit for former journalists who love interviewing people and writing blog posts and LinkedIn profiles. Does this sound like you? Writing is your passion. You love the written word, you read constantly, you have fun playing with creative phrasing, and you have an opinion on the Oxford comma. You are a natural storyteller. People crowd around when you tell a story, sitting enthralled as you spin it out, rich with details and adventure, excited to hear how it all comes out. You love doing interviews. It doesn’t intimidate you in the least to speak with the CEO of a large company. You can put anyone at ease, draw out the information you need, and leave them feeling good about the conversation. 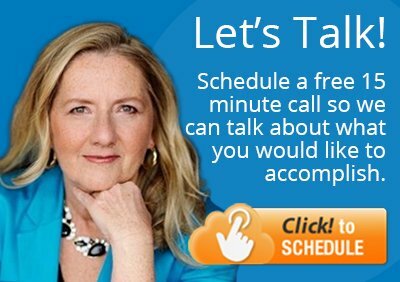 You enjoy capturing the client’s voice, using their style and turn of phrase. We are looking for an inside sales person who loves being on the phone – someone who believes selling is all about solving problems for clients. Does this sound like you? You are a natural seller. Even when you were a kid, you had a business selling to neighbors and friends. You have a high degree of confidence in your ability to exceed sales targets, largely because you’ve done it so many times. You enjoy talking to executives. You’re a good listener, you understand their concerns, and you help them solve problems. You have a positive attitude, a big smile, and enthusiasm that is contagious. You want to work for a purpose-driven company with strong values, where you can make a real contribution. 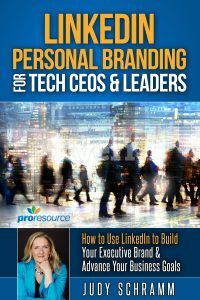 We are looking for people who believe in social media and want to help executives leverage LinkedIn to build their personal brand and promote their business. Does this sound like you? You love listening to your friends tell you about their dreams and goals. They know they can count on your support, and you enjoy helping them map a path to achieve their vision. You are organized and detail-oriented. Things don’t fall through the cracks when you are around. You are kind, patient and persistent – when you are involved, work gets done, projects keep moving, and things run smoothly. You may not have had a job in marketing before, but you have a marketing brain. You instinctively understand how to get people’s attention and how to motivate them to take action. Are you a videographer, graphic designer or editor who believes in the power of social media and would like to help executives tell their stories online? Please send a link to your portfolio to team@proresource.com and follow the instructions below. You must have significant, real-world business experience in at least one industry. You must believe in the value of social media. You need an up-to-date professional profile on LinkedIn. You must have all of our required technical skills. You must be detail-oriented and organized, reliable and responsible, and able to work well independently. You must have your own laptop, with access to high-speed Internet. You need strong verbal communication skills and a good phone presence. You need strong written communication skills, with the ability to spell, capitalize, punctuate and use correct grammar, even in emails. You are an independent contractor, working 20 hours a week. You need to have a business license, and be set up to pay all of the appropriate taxes. You will be helping entrepreneurs and executives build their businesses. We work with fascinating people who are passionate about what they do. You work with a team – whether you are in the office or not, you’re part of a group of people who work together to make a difference for our clients. There’s always more to learn – you can move between roles on your team, take on more responsibility and generate more income. Read about our mission, beliefs, value & rules. Does that sound like a fit for you?